The aptly-named Luxotic BF kit comes in a large plastic box with a transparent lid that offers a clear view of the assembled Luxotic BF mod and Tobinho single-coil RDA. 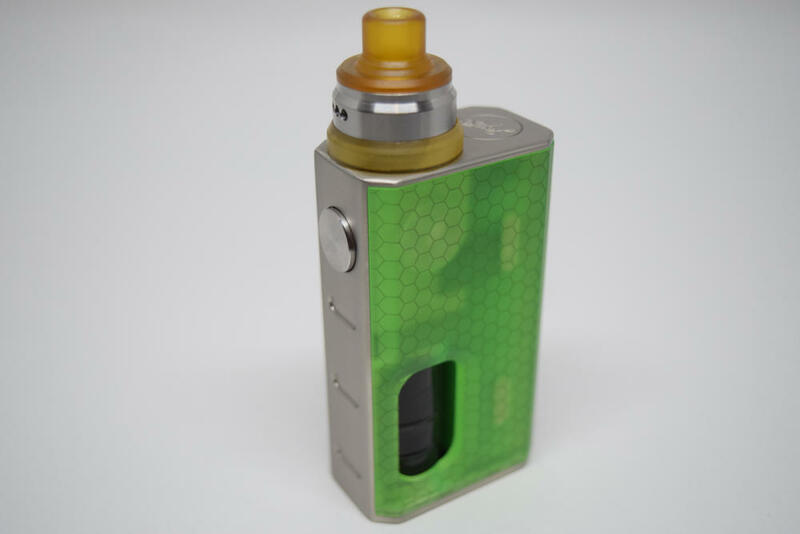 With most such kits that’s all you get, but Wismec pulled all the stops for its elegant squonking setup, including a small bag of accessories, a detailed user manual and some Japanese organic cotton. In the accessories bag, you’ll find a spare squonk bottle, two pre-made coils (I love it when they add those), some spare o-rings for the RDA, an 810 drip-tip adapter, a solid 510 pin, in case you want to use the Tobinho with a regular mod, spare grub screws for the RDA and a small hex key. This is quite a generous package, if I do say so myself, at least compared to other similar kits I’ve tried recently, so definitely two thumbs up for both contents and packaging. I only recently reviewed the Vandy Vape Pulse BF and Arctic Dolphin Crea BF mods, and while they definitely deserve credit for making squonking much more affordable, there’s no denying that their plastic casings feel a bit cheap. I for one don’t have a big problem with that, as long as they perform well, but if you prefer something with a quality feel and in the same price range, then the Wismec Luxotic BF is a much better choice. To be perfectly honest, there’s nothing budget about this kit other than the price itself. 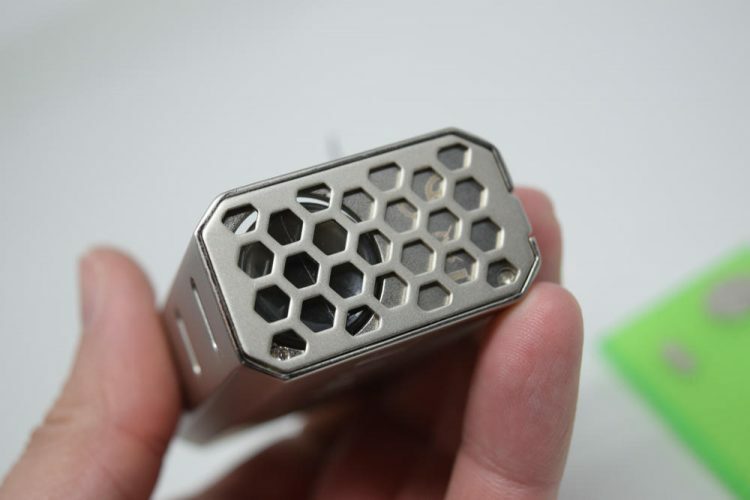 It doesn’t look like a budget vape mod, and it certainly doesn’t look like one either. 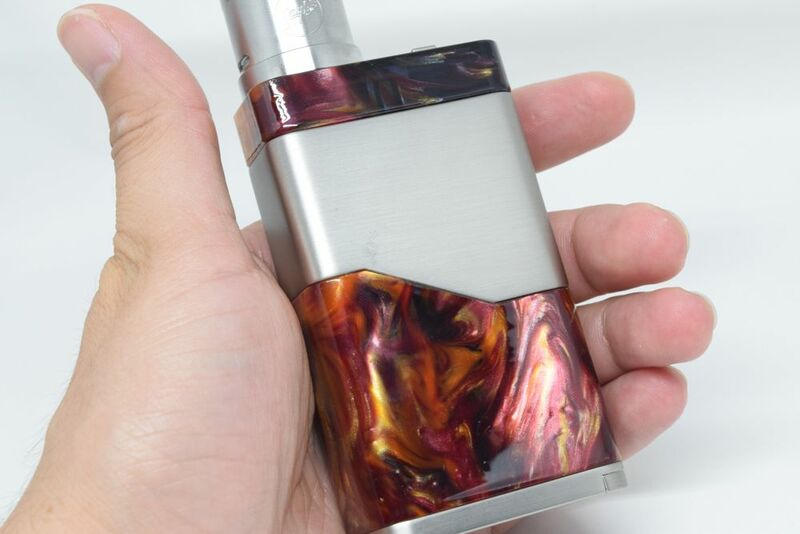 The Luxotic BF mod is mostly made of brushed stainless steel and features a removable door made of colored Ultem. But I definitely wouldn’t call this plastic-like element cheap, not at all. It shares the high-quality feel of the mod, and aligns very well with the metal body. It attaches to the mod with large, powerful magnets, and doesn’t wobble one bit in the hand. On the other side of the mod we only have more of that brushed stainless steel, with a big “Wismec” logo stamped into it. I’m usually not a big fan of this ostentatious branding, but in this case, it really doesn’t bother me that much. Maybe it’s because I love the look and feel of the mod so much that I’m willing to ignore such details, but I really don’t mind it. 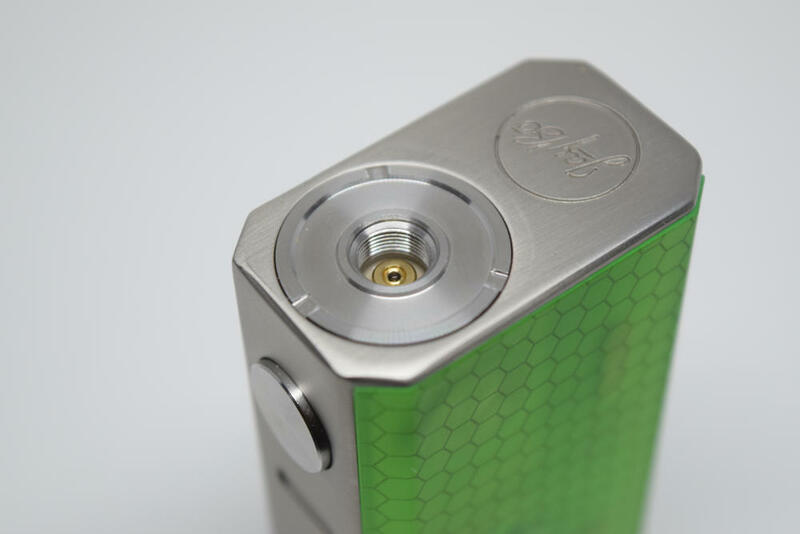 The 510 connection plate is slightly raised from the rest of the mod, so there’s little risk of scratching the device even when screwing an atomizer on too tight. 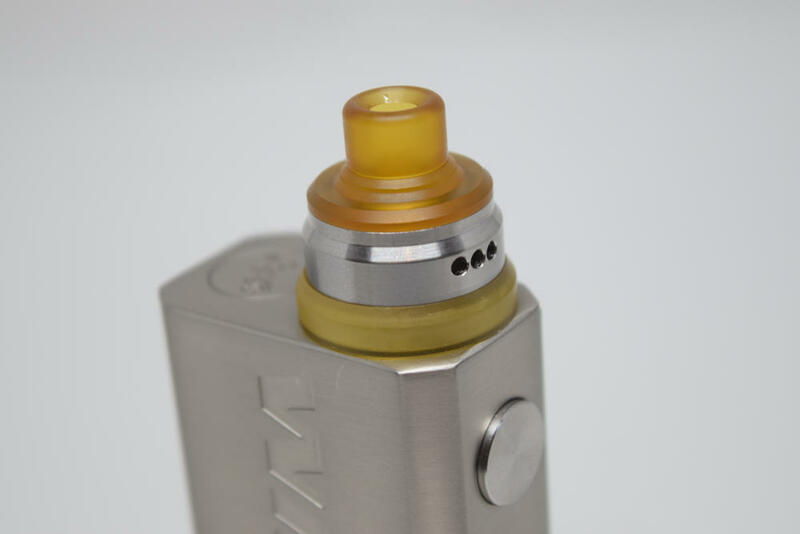 The hollow 510 pin is spring-loaded and connects to a metallic rod that feeds juice from the bottle to the mounted BF atomizer. The Luxotic BF mod features a single button, and it’s one of the clickiest buttons I have ever used. That seemed a bit strange to me at first, considering that other mechanical squonkers I had tested featured mushy buttons, but I soon realized that unregulated mods like the Luxotic BF are not the same as mechanical mods, like the Pulse BF. More on that later, all you need to take away is that the Luxotic has a very clicky, satisfying power button that even lights up on the inside when pressed. On the bottom, the Luxotic BF features a removable metallic plate. Since the squonk mod can only be removed through the bottom, you’ll be playing with this plate quite a lot. Luckily, it’s held in place by magnets so it comes off very easily. Maybe a bit too easily, actually. I’ve actually tried placing this bottom feeding mod on a magnetic surface and the plate can actually come off the mod and stick to more powerful magnets. So definitely watch where you set down your Luxotic BF. 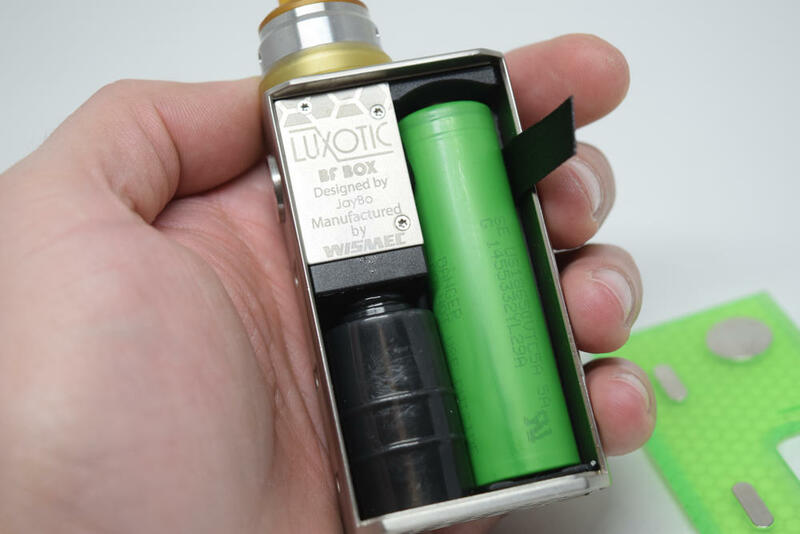 On the inside, the Wismec Luxotic BF has a an 18650 battery slot on the right side, and on the left, the lower half of the mod is occupied by the 7.5 ml plastic bottle, and the upper half is taken up by a sealed case containing the 510 connection and a small electronic board that provides the usual protections you would find on a regulated mod – low battery protection, short circuit protection, reverse polarity protection – only without actually regulating the power output. Opening up this little case is fairly easy, as it only requires three hex-screws, but it also voids your warranty, so I wouldn’t recommend doing it. There are plenty of videos on YouTube showing the insides of the case, if you’re curious, but it’s really nothing impressive. There is a very small board right behind the fire button, and it is connected to the 510 via an electric wire. That’s about it, so if you’re expecting fancy features from this device, you’ll be disappointed. A lot of vapers are upset that Wismec decided to make the Luxotic BF mode compatible only with its own proprietary line of squonk bottles. It’s reminiscent of the closed systems that were prevalent in the vaping industry just a few years ago, and people don’t like it one bit. They like to be able to use their own silicone bottles, but that’s not possible on the Luxotic, at least not without using some hacks. 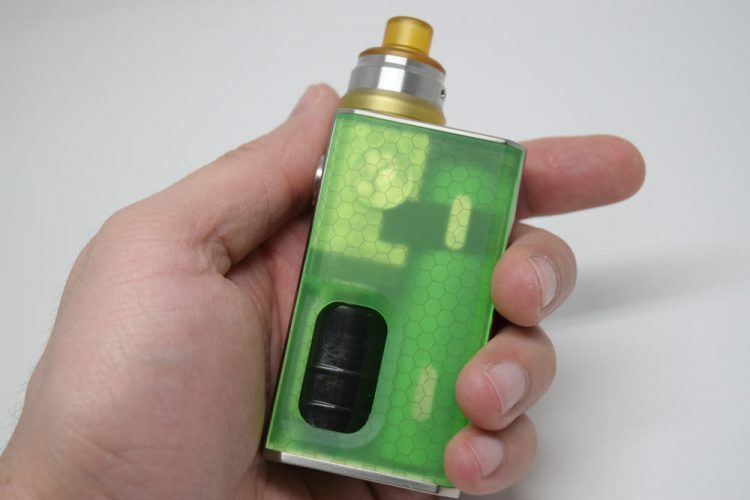 The squonk bottles it comes with are made of soft plastic, and although I for one like them over most silicone bottles I’ve used, I agree that by making them the only option, Wismec is limiting customization, and that’s never a good thing. Luckily, the vaping community has always been very good at coming up with ingenious hacks, and this case is no different. A simple Google or YouTube search brings up a number of ingenious hacks that allow you to replace the included squonk bottles with virtually any style of bottle. You’ll most likely void the warranty though, so proceed at your own risk. Apart from the bottle situation, which really isn’t that big of an issue, I really don’t have anything bad to say about the Wismec Luxotic BF mod. 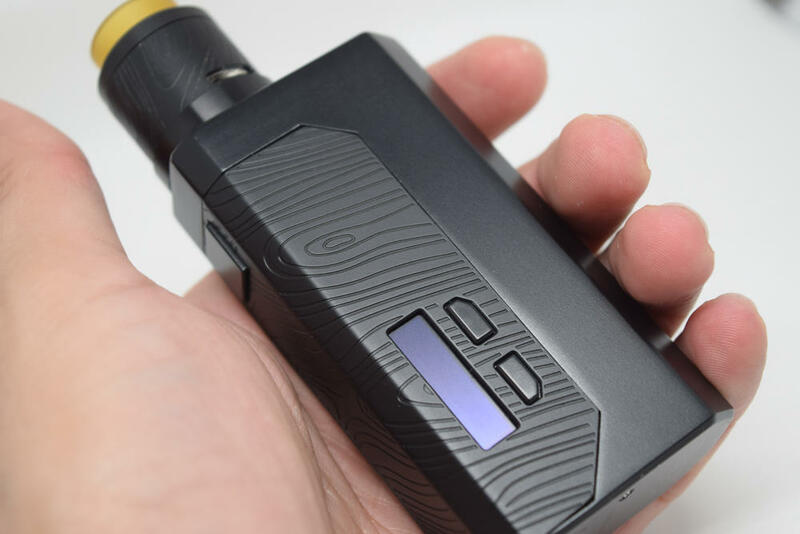 It’s definitely worthy of its name, it looks and feels like a high-quality product and it comes with built-in protections that most other squonkers lack. As far as affordable mass-produced squonkers go, this is probably the best one you can buy right now. You can use the Wismec Luxotic squonk mod with any bottom-feeding atomizer up to 24mm in diameter without any overhang, but if you don’t have any BF attys in your collection yet, the 22mm Tobinho will gladly take you to flavor-town. That’s right, the Tobinho is a single-coil, low-profile RDA that, just like VandyVape’s Pulse22, is designed primarily for enhanced flavor. That’s not to say it doesn’t chug the vapor, because, for such a tiny single-coil atomizer, it actually produces a lot of vapor. It’s just that it was the intense flavor that really impressed me while using the Luxotic BF kit. The Tobinho uses a (kind of) postless build deck. I call it postless, but technically it does have posts, they’re just not the classic type most of us are used to. The posts are located on one side of the build deck, and feature large hex screws that can be loosened and tightened from the outside, using the included hex key. Strangely enough, this little RDA has some of the largest wire slots I’ve ever seen, so you can use even the thickest of coils with it. 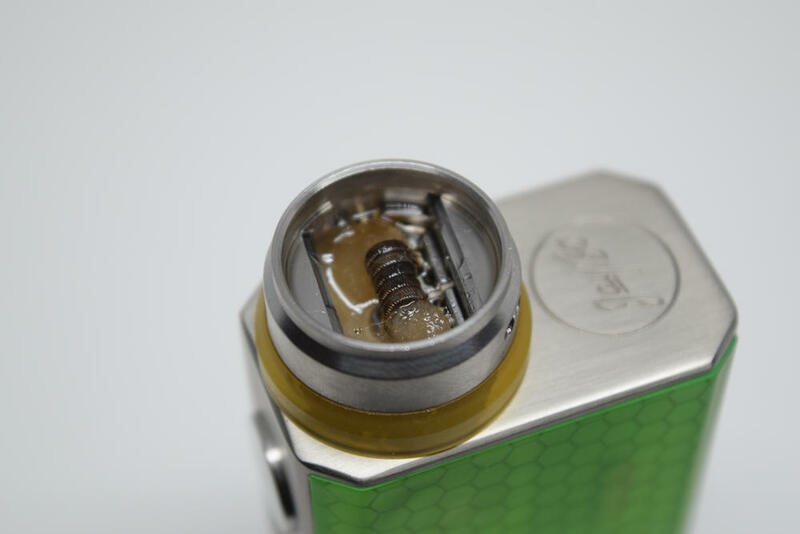 In fact, I don’t recommend using thin wire with this atomizer, because the screws only clamp down on the center of the slots, so you need to make sure that it catches the coil leads as well. I for one just used one of the coils that came with the kit. They’re not the best I’ve ever used – I needed to scrub mine really good with a screwdriver to get rid of hot spots – but they re definitely convenient. I like that they have the leas already bent to fit this unusual build deck, so all you have to do is insert them into the slots and tighten the screws. The Tobinho comes with a 510 drip-tip by default, but you can use an 810 as well, thanks to the adapter included in the kit. I don’t really use 510s anymore, but I decided to make an exception in this case, simply because I thought the 510 fit the 22mm atty better. I did try it with a Goon-style tip as well, but found myself going back to the 510 after a couple of draws. The thing about these low profile RDAs is that they deliver great flavor, because the distance between the coil and your mouth is so short, but they are also prone to spitback, especially when you squonk a bit more e-liquid than you should. I sometimes get some spitback with the 510 drip tip, but it is infinitely worse with the Goon because there is nothing stopping the juice droplets from flying into your mouth when you press the fire button. As long as you accept that the occasional spitback is pretty much standard with this sort of very low RDA, you’re probably going to love the Tobinho. It has a massive juice well and a raised feeding port that allows you to squonk to your heart’s content with only the excess being sucked back into the bottle. The airflow is generous as well, with three adjustable slots on each side of the coil. 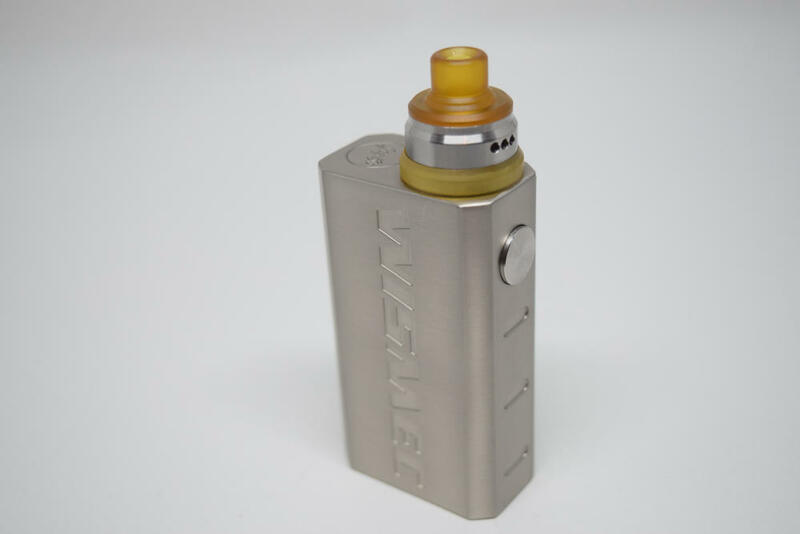 If you’re a fan of tiny flavor-oriented RDAs like The Derringer, you’ll like the Wismec Tobinho as well. I received my Wismec Luxotic squonker and Tobinho BF RDA just over two weeks ago, and it’s been my main setup ever since. I even started carrying multiple 18650 batteries with me just so I could use it as much as I wanted. I just love everything about it, the elegant design and excellent build quality, how it feels in the hand as well as how easy it is to carry around in your pocket. And then there is that tiny circuit board that offers pretty much all the protections of a regulated mod without actually regulating the power output. To me, at least that’s a big plus over other squonkers, most of which are fully mechanical. 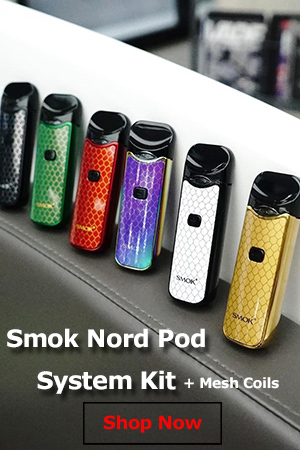 You should never rely on a tiny chip to keep you safe, but if you need an extra layer of safety while vaping, this sort of device is perfect. Basically, it allows you to enjoy all the benefits of a mechanical squonker, while at the same time considerably limiting the risks associated with using them. And if you needed another reason to buy the Wismec Luxotic BF over other squonking kits, the affordable price is sure to convince you. 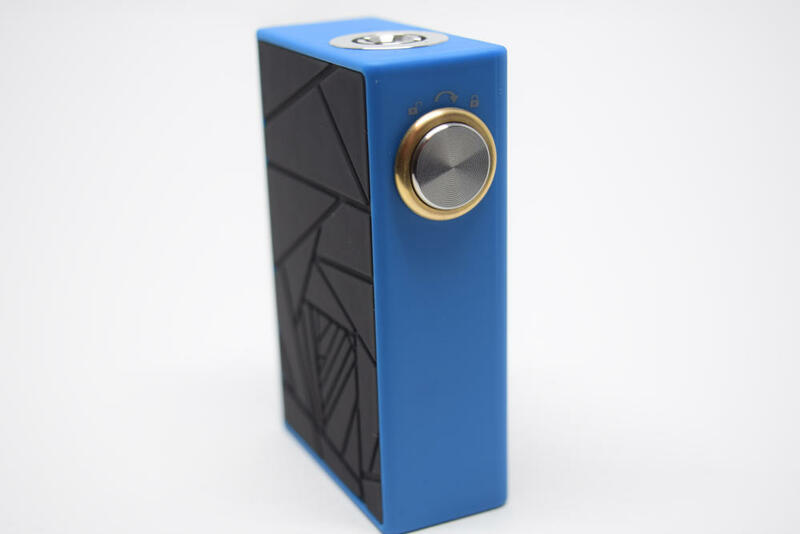 VapeSourcing currently sells the Luxotic mod and Tobinho RDA kit for just $39.90, but you can also get the squonk mod by itself, for only $32.90. For what you’re getting, these prices are insanely low. 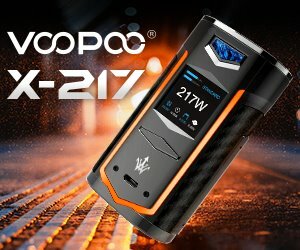 So yeah, I’d definitely say Wismec and JayBo have hit another home run with the Luxotic BF kit, and I for one am looking forward to see where they go with it in the future. Their affordable squonking setup is already a big hit, so I’m guessing the Luxotic brand is here to stay.